This entry was posted in John McCain, Sarah Palin Going Rogue: An American Life, Troopergate and tagged 000 legal bill, Alaska, Going Rogue, Going Rogue: An American Life, Governor Sarah Palin, HarperCollins, John McCain, John McCain Sarah Palin, McCain campaign, Mike Wooten, Molly McCann, Sarah Palin, Sarah Palin $50, Sarah Palin Going Rogue, Sarah Palin Going Rogue: An American Life, Trevor Potter, Troopergate. Bookmark the permalink. Even a guy who personally picked Sarah Palin for the position of Vice President of the United States doesn’t feel she is honest. Things that make you go hmmm. 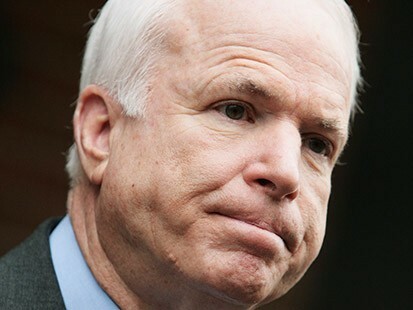 Mr. McCain, be prepared to answer over and over how you won’t endorse her for president when you nearly made her vice-president.